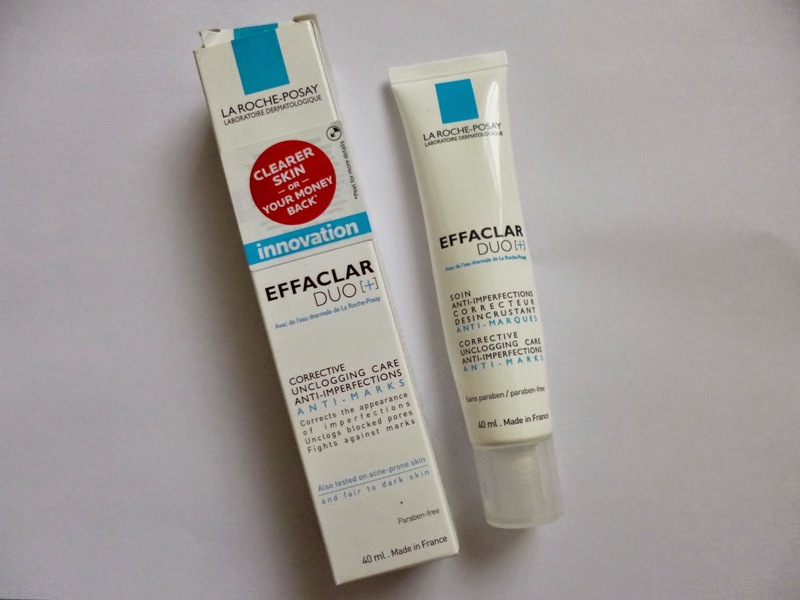 Anyway, moving onto today’s beauty post i am going to share my thoughts about the much raved about La Roche-Posay Effaclar duo +. I had read so many reviews on this before purchasing as when it comes to skin care i get worried about nasty allergic reactions and using something that might make my spots even worse. Almost every review was positive so i took the plunge as Escentual were offering a 1/3 off all of their French pharmacy skincare. 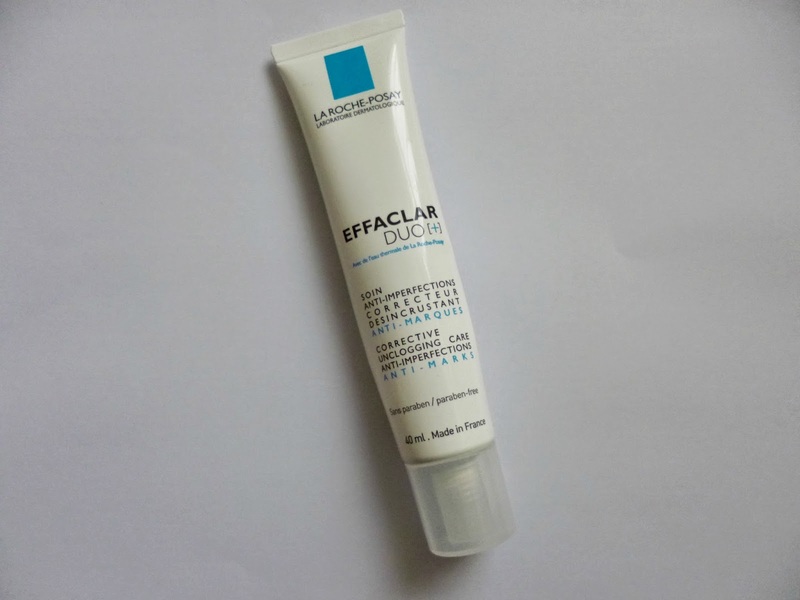 So here is what i thought..
Effaclar duo + is the new reformulated version of the previous Effaclar duo. I had never even heard of the brand before let alone that there was an old version of it and i probably still wouldn’t now if i didn’t read blogs! This product is designed at correcting the appearance of imperfections and by unclogging blocked pores as well as preventing scars from forming in the future so it is perfect for people with skin prone to breakouts and for people like me who also like picking spots (i am so terrible). It advises that it can be applied twice a day in the morning and evening or just once a day. Before i purchased the product someone on twitter (sorry i cant remember who!) said that it was best to use once a day as the product can be quite harsh. As i have sensitive skin i followed her advice on the matter and started using it in the evenings as i think products generally do work best over night. The consistency of this is just like any other moisturiser, when i first started using this it did feel quite tingly on my skin which scared me as i thought i was going to have a reaction but it seems quite normal and after almost a week i didn’t get this feeling anymore. I would also say that you should avoid putting it on any dry patches as because i learnt it stings/itches SO much! After a week i also felt that my skin was okay to use it twice a day which i have been doing so since. So, what have the results been so far? I have been using this for a month now and i was going to call this a miracle product at about 2 weeks in but i’m really not so sure now. Firstly my main problem was that i had scarring from acne and i also still get a lot of spots on my forehead as well as having black heads on my nose. The biggest change to my skin has been the texture, i honestly cant believe how much smoother my skin has become and it is now a real pleasure to apply cream to my skin because of this haha. After the 2 weeks stage i also had practically clear skin on my forehead which is so unusual as i usually have a few knocking around. But i am now into the fourth week and it claims by this time that pores should look unclogged.. My forehead is possibly worse than when i began using this which is really disappointing, although i have heard that some people go through a purging stage in the process which is basically bringing all of the rubbish out of the skin which will inevitably cause spots. I am hoping this is why i have the sudden return of spots because i am so desperate for this product to be amazing! I have also noticed that my blackheads are much more visible on my nose so i am hoping that it is still working in unclogging them. Also in regards to the scarring i have noticed a slight difference in the appearance of them, this i think will take the longest to treat because as anything like this i think that you really need to persist with the treatment, so i will be buying this again once it runs out. I also think this is an amazing base for makeup, as i have combination skin i have noticed that it really reduces the shine on my forehead and it helps my makeup to stay matte during the day. So overall i will be repurchasing this as i feel i need to give it more time, it is fantastic in improving skin texture and it is a great base for makeup, i do believe that it is still working on unclogging my pores (mine must be terrible!) so i am living in hope, i will definitely update you in a few weeks or so on how i’m getting on! I hope you are all having a lovely weekend! What do you think of this product? Have you tried it before? Do you use any similar products? 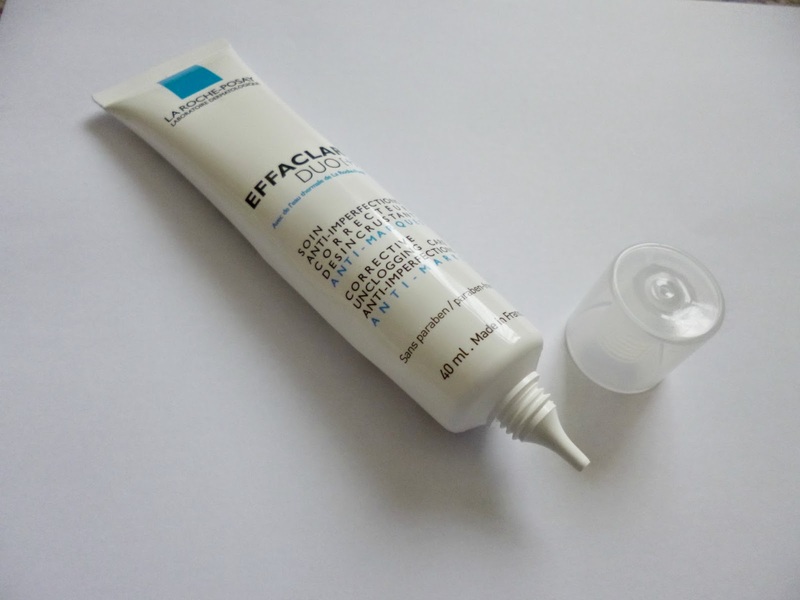 What do you use for acne scarring?